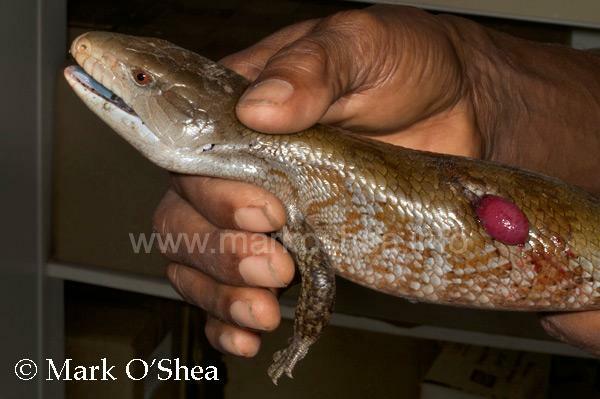 This gives insight to the natural habitat of Tiliqua gigas. This shows the species they live with as well as their environment. The native people also believe that they are venomous, which is why the animal in the second link is injured(they stabbed it). Last edited by xxmonitorlizardxx on Tue Apr 02, 2013 12:56 pm, edited 1 time in total. I have moved the general discussion regarding this subject to the general discussion forum. Please keep the discussion in the advanced forum on topic, and about scientific, medical, pathological, breeding, environmental, and locality information. What species is this second one? Almost looks like that so called "Hypo Reduced Pattern Northern" that actually turned out to be a golden Irian Jaya..
Dakota Nivens wrote: What species is this second one? Similar to the animal you are talking about, but that animal was much more red.